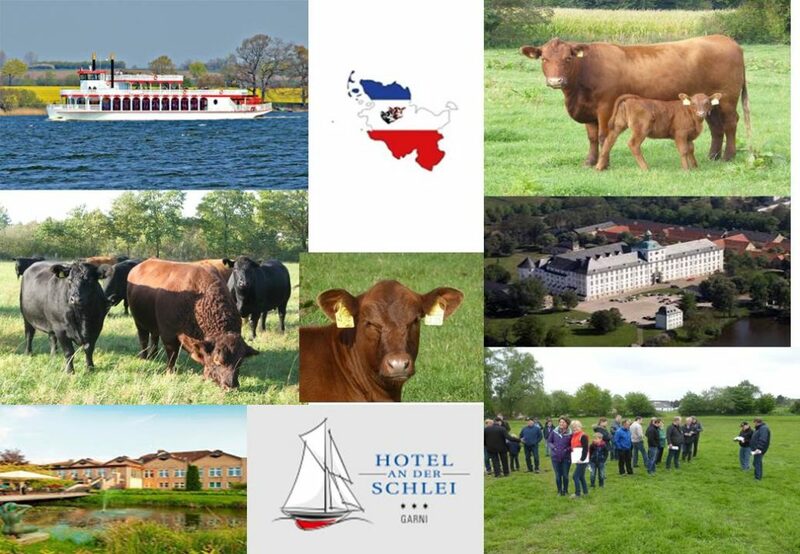 Sun, more sun and breeding cattle of outstanding quality seemed to be the motto of this year’s beef cattle state show, which was held as a part of the annual farmer’s market in Viöl on 8 May 2016. 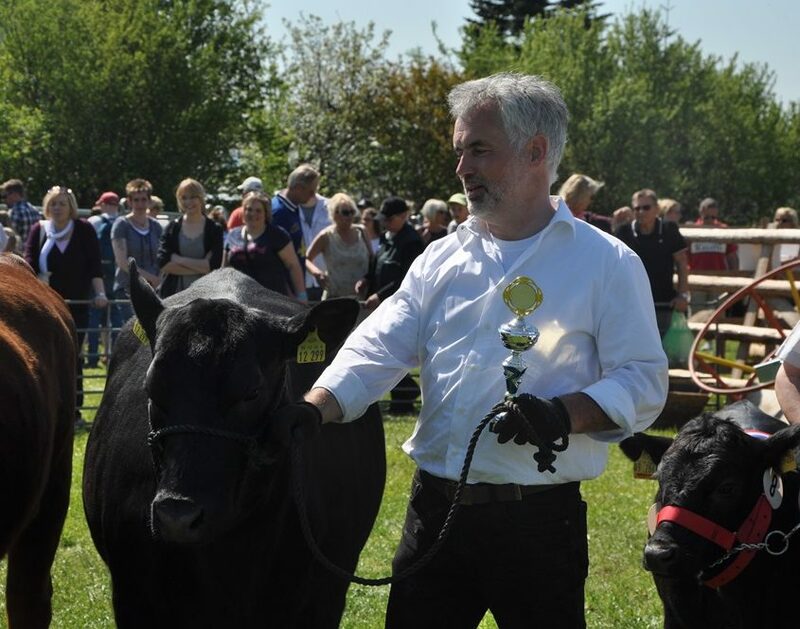 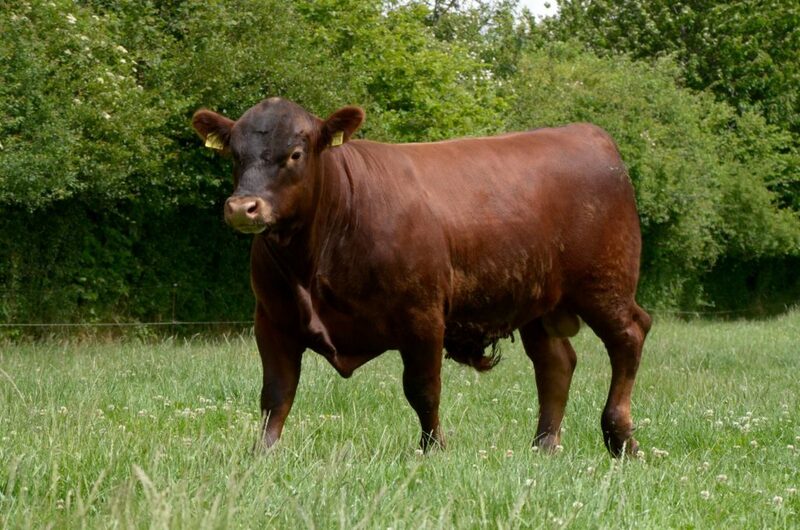 Besides numerous animals of the Galloway, Highland Cattle, Dexter, and Angus breeds, breeders also showed Limousin, Shorthorn, and Water Buffaloes. 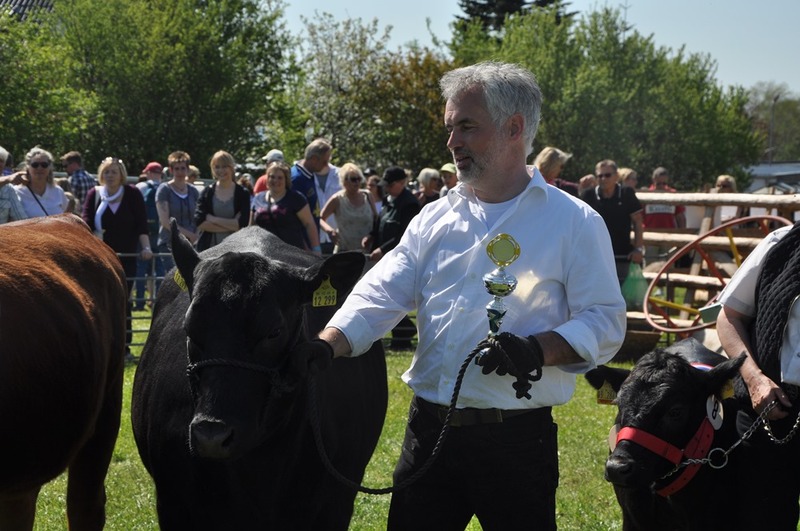 Uwe Harstel of the Cattle Alliance Sachsen-Anhalt judged the event in a professional and accountable manner. 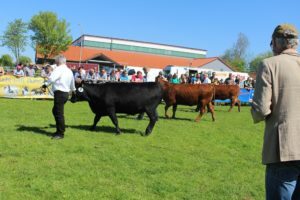 Three excellent Angus heifers were shown: Amazone of the Angus North-East breeder’s society (red, S. Voigt and B. Röbbel ), the also red Cranberry of Christelhoi, as well as the black Mady 14 (see Table). 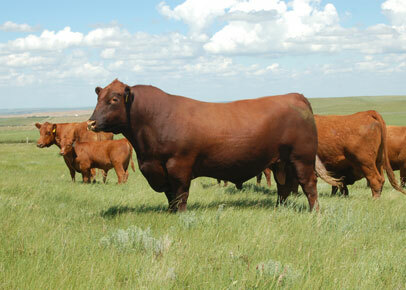 The latter placed first as she was furthest developed in this age group.